Alloy wheel customising might be the perfect choice for you if you are looking for originality, and to make your vehicle look outstanding. We can match any paint colour to insure that your wheels are a near perfect match to your vehicle. Alloy wheel customising is not our only forte, we have a list of services which covers interior and exterior vehicle customising too. Listed below are the customising services we offer. We can paint your wheels any colour you like and the combinations are endless. Using our colour coding techniques we can match any paint colour or create new colours to suit your requirements. 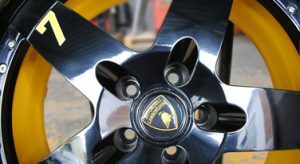 We will also paint the inside of the wheel to enhance the overall look of your vehicle. 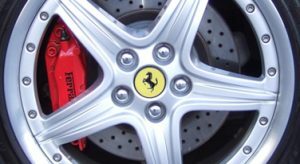 Many sport cars such as Lamborghini, Ferrari and Porsche have painted brake calipers. Painted calipers can considerably enhance the look of your wheels and ultimately make your vehicle look outstanding. We can improve the look of your brake calipers with prices starting from as little as £55 + VAT. If you’re looking to upgrade your car to present a more personalised sleek exterior, we can produce whatever design you have in mind. 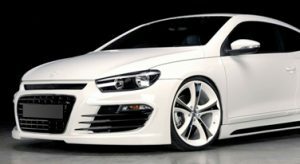 We can install all types of body kits, and if you’re just looking to replace your standard OEM body panels we can replace these to suit your requirements. Many people focus on the outside of a car, but what you see everyday is the interior of your car. 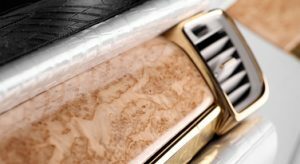 If you really want to add a personlised touch to your vehicle we can re-upholster your seats to what ever material you like, we can also customise your dash, console and door panels. 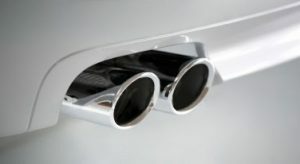 The primary purpose of upgrading an exhaust system is to help the motor make more horsepower and torque. Upgraded exhausts, particularly ones made from stainless steel, not only increases the longevity of the exhuast system but also looks much better than most OEM exhausts.